Hi there! 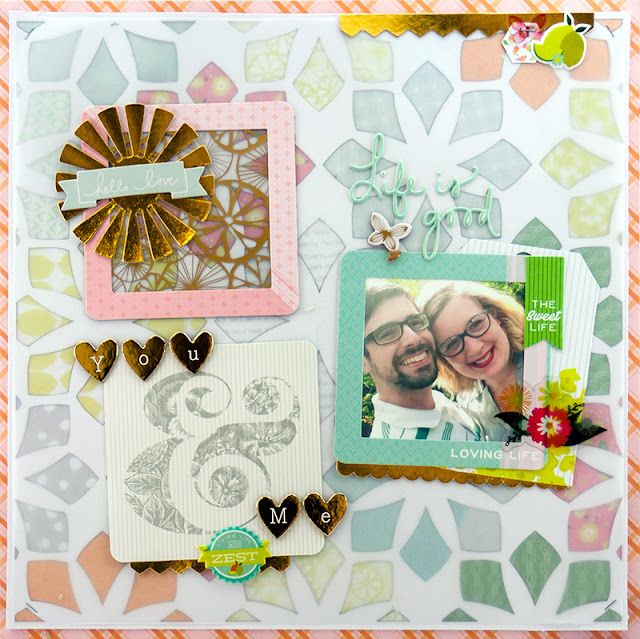 I have a layout to share with you using the Pink Paislee Citrus Bliss collection. I love the summery colors in this collection! I a background out using my Silhouette Cameo. I backed it with patterned papers from the 6"x6" pad. It was pretty loud and bold, so I covered it in vellum. I also decided to trace each piece with black pen to help the flowers pop! I love how vellum tones things down a bit. If I could recommend anything (besides the ephemera pack, which is always a must have) to get from thi collection, it would be the Insta Kit! It includes frames, overlays, and journaling cards, and is a great bargain! I had a lot of fun using it on my layout! Love this fun design Allie!! Really love the way you use the Citrus Bliss collection!